Nicely brings you to login prompt for Ubuntu Server Intrepid PV DomU. Reboot PV DomU and setup VNC per  , including workaround for Gnome Settings Daemon issue. This entry was posted on Tuesday, October 28th, 2008 at 8:09 am and is filed under Uncategorized. You can follow any responses to this entry through the RSS 2.0 feed. You can leave a response, or trackback from your own site. 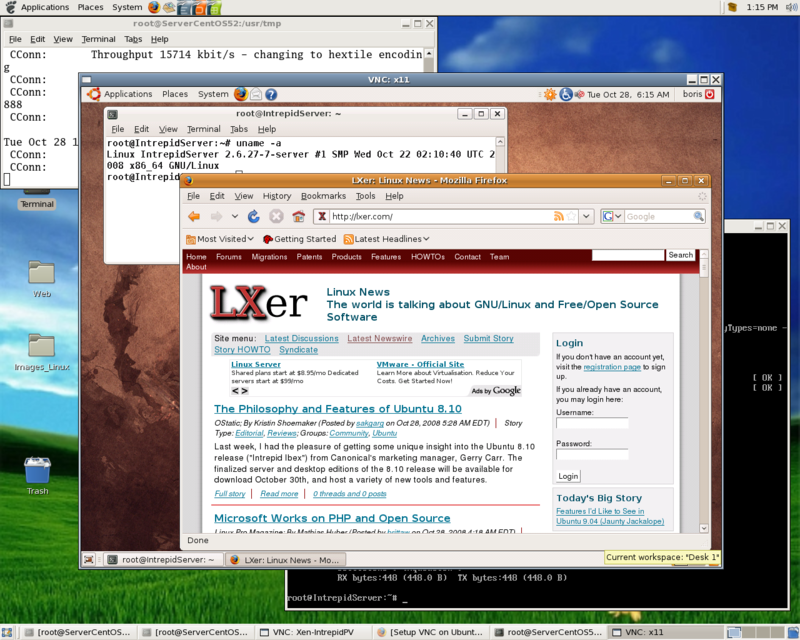 hey, just installed ubuntu, same version, in HVM domain, using LVM. and tried to start domU with it. 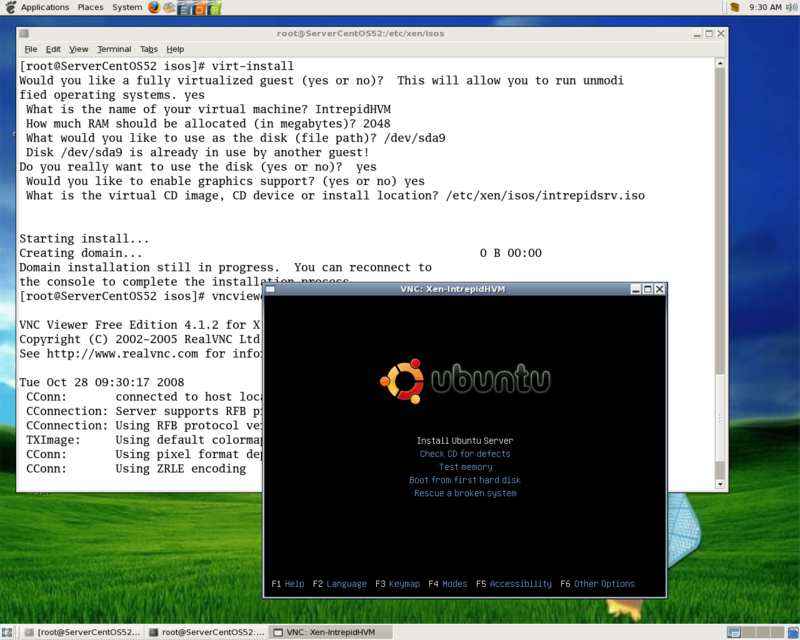 CentOS 5.2 dom0, gitco 3.3.1 xen, 32 bit dom0, tools, 64 bit hypervisor. Today I found this blog and are amazed by the quality of information posted here. Man, I gotta tell you that this article has really blown me away. I couldn’t believe when I first checked it out, highly recommended reading ! Keep up the good work. Thanks for the high-quality information.